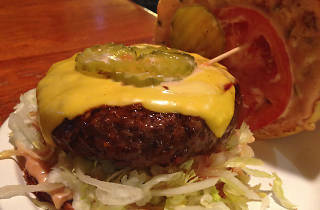 The burger offerings at Ollie's Trolley match the space's décor: Classic, unpretentious and all-American. The 12th St. burger joint is lined with booths and the food is served on plastic cafeteria trays. 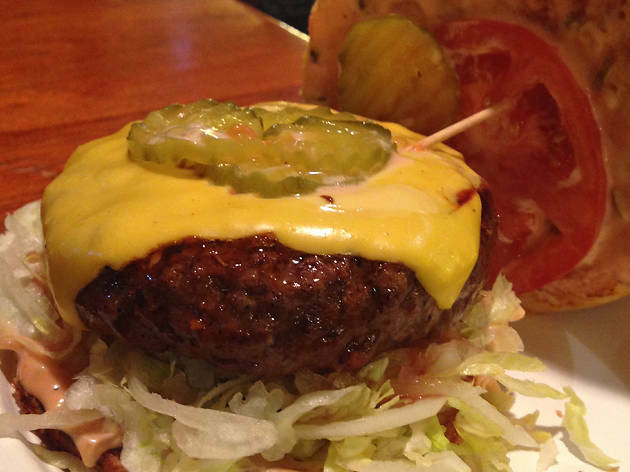 The Ollie burger is similarly no-frills, filled with classic accoutrements: shredded iceberg lettuce, American cheese and Thousand Island dressing. The burger is made from black angus chuck and beef brisket, sourced from Roseda Farm in Maryland and ground in-house daily.